Be honest: How often do you use your Instant Pot for meal prep and not just for weeknight dinners? I鈥檇 guess that most of us rely only on the stove and oven for meal prep, and therefore completely miss out on the benefits of using the Instant Pot instead. This week, I鈥檓 prepping a week鈥檚 worth of Instant Pot dinners for my whole family, plus breakfast and lunches for myself and my husband in just under two hours. I鈥檓 using both my kitchen range and the Instant Pot to get it done faster. Here鈥檚 how I do it. I love the Instant Pot for its ability to quickly cook weeknight dinners and because it鈥檚 great for batch cooking. This Power Hour takes advantage of both by using the Instant Pot to prep breakfast and lunch options while you prep dinners that will be cooked in the Instant Pot later in the week. Breakfast: High-protein breakfast options for myself and my husband to eat as we shuffle two kids out the door (five days). Lunch: Easy-to-assemble lunch options for myself 鈥� and sometimes my husband 鈥� as we both work from home (five days). Dinner: Quick, family-friendly dinners for our family of four that will leave leftovers for a few lunches (five days). Nutritional Goals: My husband is working on increasing his protein intake at breakfast to fuel his morning workouts, but we otherwise eat omnivorously with a focus on family time at the table rather than eating everything on our plates. Feeds: 2 adults for breakfast and lunch, plus 2 elementary school-aged kids at dinner. Weeknight Cooking Required? About 30 minutes of hands-off cooking each night and some lunch assembly during the week. This week I personally had to load up on some pantry staples like olive oil and dried pasta and a surprising number of spices! But you can likely shop your pantry for a lot of these dry goods, including the beans and rice for Monday鈥檚 dinner. Two things worth noting about this Power Hour plan that make it a little unique: I broke out vegetable prep and meat prep for each meal into two tasks so that I can just use one cutting board and knife for the whole prep session. Another first? I鈥檓 prepping our Sunday dinner to cook at the end of meal prep so I don鈥檛 have to think about what to cook after meal prep is all done. Hard-boil eggs for lunches and snacks. I love to get the hard-boiled eggs going first so that I can eat one and check something off my list. Reserve the water from these eggs to steam the egg bites and potatoes. Chop vegetables for all meals. Start with broccoli for Sunday鈥檚 dinner and move through prepping onions for two dinners and peppers for two meals, plus cleaning greens for salads. Mix up egg bites. These egg bites use cottage cheese to make them heartier and get whipped up in a blender to make them super smooth. Steam egg bites. You do need a special pan for steaming these bites in the Instant Pot, or you can bake them in the oven while the potatoes steam. Prep and chop meat for all meals. While the egg bites steam, chop the sausage for the Red Beans and Rice, slice the flank stead for Italian Beef Sandwiches, and cut the pork for the Instant Pot Spicy Pork and Pineapple. This is also when I add seasoning or liquids to meats so they can marinate in the fridge. Steam sweet potatoes. When the egg bites are done, get the sweet potatoes in the Instant Pot quickly, so they鈥檒l be done in the time it takes to package and label the meals and get the rest of Sunday鈥檚 dinner prepped. Package and label meals. Divvy up the produce and meat into bags for each meal and label them. You can add instruction too 鈥� especially if your partner will jump in and get dinner started throughout the week, as mine does. Soak red beans. We鈥檙e planning Red Beans and Rice as Monday鈥檚 dinner, so we like to soak the beans overnight, but if you move meals around I find it鈥檚 better to wait until later in the week to soak the beans. Make mac and cheese dinner. Purely optional idea: Cook Sunday鈥檚 dinner while you鈥檙e meal prepping so you don鈥檛 have to think about it later. Or move this mac and cheese recipe to Friday where you can use it as a vehicle for leftovers. Here鈥檚 how we ate and enjoyed our meal prep throughout the week. Steamed egg bites from the Instant Pot are an absolute breakfast game-changer. I honestly wish I made more and skipped hard-boiling eggs for lunches, because I ate these for lunches on multiple occasions. To keep things varied, I also ate a few breakfasts of yogurt and fruit during the week. During meal prep, I assembled a few lunches of eggs, salad swag, and half a sweet potato. While I could eat eggs and sweet potato every day, my husband admitted to a bit of egg fatigue later in the week. Luckily there were leftovers for him to eat from both Monday鈥檚 Red Beans and Rice and the Italian Beef Sandwiches. Sunday: Instant Pot Mac and Cheese 鈥� This is the single best meal prep move I鈥檝e made recently. Making Sunday dinner while I meal prep seems like an obvious step I鈥檝e been missing. I know not every one is meal prepping on Sunday, so you could easily move this meal to another night later in the week. Monday: Red Beans and Rice 鈥� We aren鈥檛 from New Orleans, but we are Southern transplants to the Mountain Northwest, and Red Beans and Rice on Monday is a tradition we鈥檝e adopted to combat homesickness. Both my kids swear this is too spicy and subsisted on rice, hard-boiled eggs, and fruit for dinner. Tuesday: Salsa Chicken Tacos 鈥� a super-easy taco Tuesday we all loved. Next time I鈥檇 add a bag of coleslaw to my grocery list to make this a more veggie-packed dinner. Wednesday: Italian Beef Sandwiches 鈥� My husband cooked this dinner while I ran our daughter to a Girl Scout meeting and now it is the only thing he cooks. Just kidding, but it was fun to find a recipe we all love that my husband enjoys cooking. 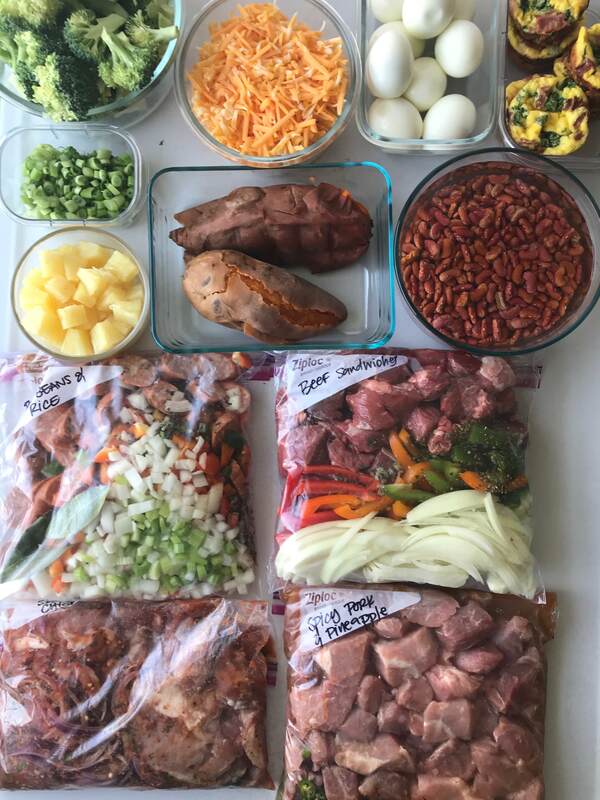 Thursday: Instant Pot Spicy Pork and Pineapple 鈥� Meal planning being what it is, we didn鈥檛 get to this recipe and ended up freezing all the prep for a future dinner. Instead, we met friends out for pizza after a tee-ball game. 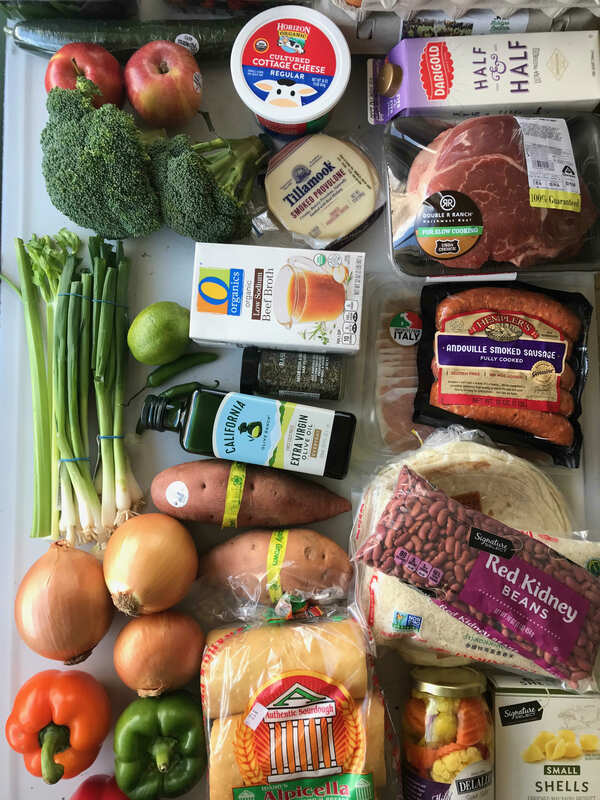 Meal prep isn鈥檛 something I innately enjoy 鈥� I鈥檓 much better at meal planning and cooking on the fly, but I loved this prep session and the dinners it produced. If you want to see me cook through this prep in time-lapses, I鈥檝e got the whole story saved in my Instagram Highlights under Meal Plans! 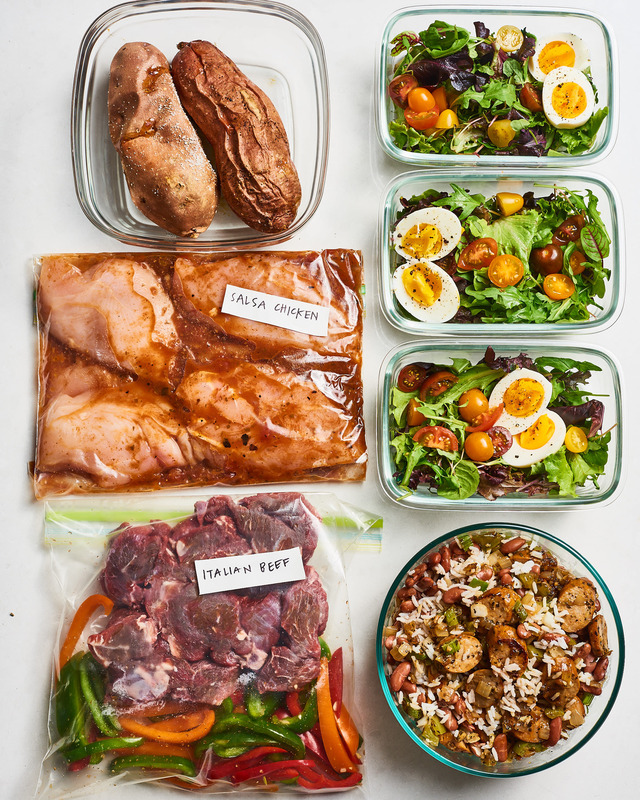 We also have more Power Hour Meal Prep plans for all kinds of cooks and eaters. Check out all the plans we have so far. Power Hour Meal Prep is the series where we help you put it all together. We show you how to eat well during the week with an hour or two of Power Hour prep over the weekend. Every plan is different; mix and match to find your own personal sweet spot.